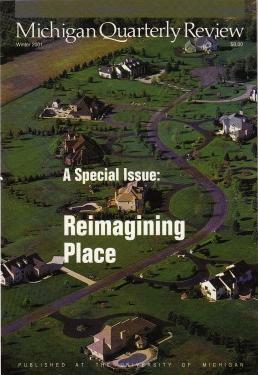 In this special issue of 292 pages, including a full-color portfolio of artwork, MQR sponsors an in-depth examination of how places—those we live in, those we visit, and those we dream about—affect our imaginations, and how we in turn make a home for ourselves in them, or stigmatize them as unworthy of our best values. Scholarly and personal essays focus on discrete places; fiction, poetry, and book reviews enhance the issue’s range and depth. 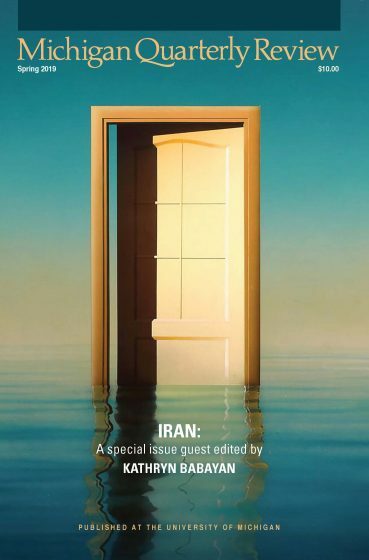 This issue is dominated by a symposium of some thirty writers from different fields responding to a question about the most memorable secret space of their own childhoods. Their mini-essays are not only descriptive but analytical, as they reflect on the state of childhood itself, in personal experiences, in texts, in modern culture. Ranging from a long paragraph to several pages, these commentaries provide an iconography of the state of childhood that will interest scholars of the field as well as general readers. 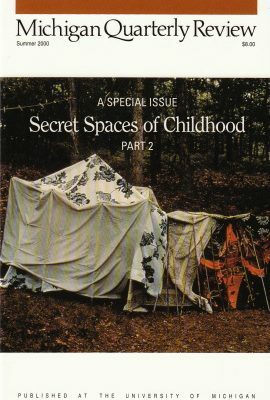 In this special issue, authors from a variety of fields explore the imaginative world of childhood, how children seek refuge from adult society in realms that paradoxically ease their way into adulthood, carrying with them the felt memories of transcendent and transgressive experience, sometimes wonderful, sometimes terrible. Essays by Helen Vendler, Kenneth Fuchs, Mark E. Neely, Jr., David McGimpsey, Anne Herrmann, Julio Ortega, and Alice Mattison. Fiction by Daphne Eva Kalotay and Steven Almond. Poetry by Zhigniew Herbert, Peter Davison, Carolyn Kizer, Fleda Brown, Jason Shinder, Jay Meek, Charles Harper Webb, and Sue Kwock Kim. This special issue pays tribute to a University of Michigan alumnus. 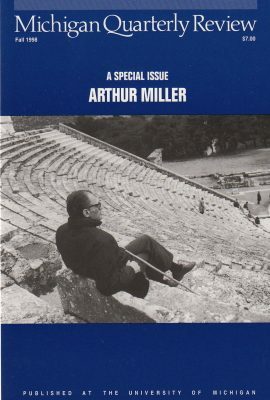 In advance of the 50th anniversary (in February of 1999) of his most famous play, Death of a Salesman, this 300+ page issue illuminates Miller’s life and work from a variety of perspectives.